Give your game room a nice pub feel with this dart cabinet. 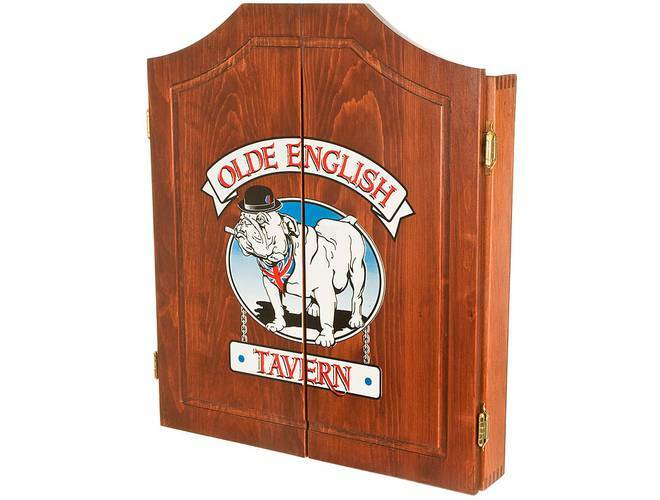 Accommodates both bristle dartboards & some small electronic dartboards. 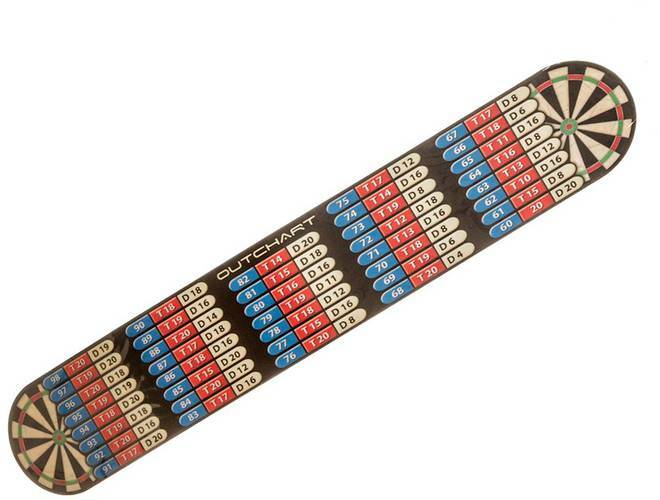 This cabinet comes with a chalk scoreboard & out chart, as well as dart holders. 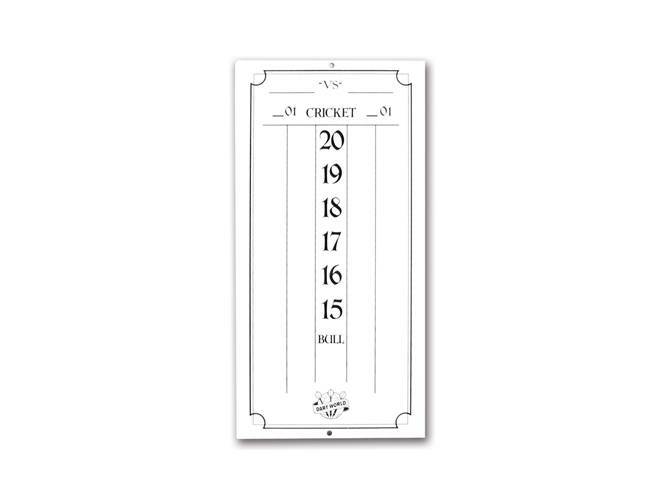 This is the cabinet only & does not come with a dartboard or darts. This vibrant board has staple free wires and bulls-eye. With embedded blade dividers, your bounce outs will be minimal. 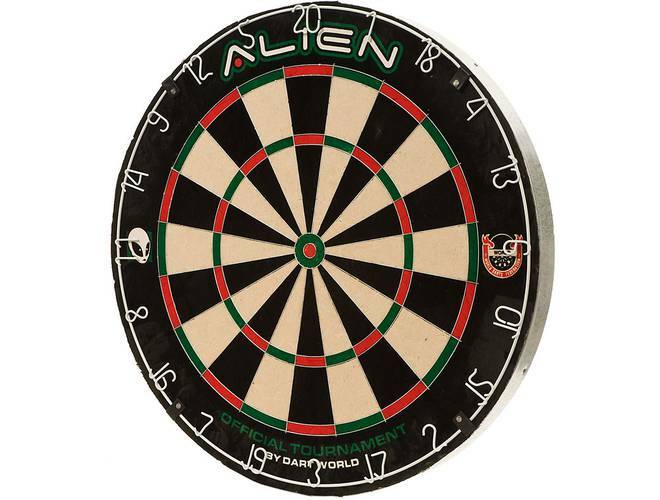 The Alien uses razor thin wire technology & is World Dart Federation approved. Top Spin Grooved Shafts are anodized aluminum with a spinning top that will rotate the flight for an incoming dart to reduce deflection and improve scoring. 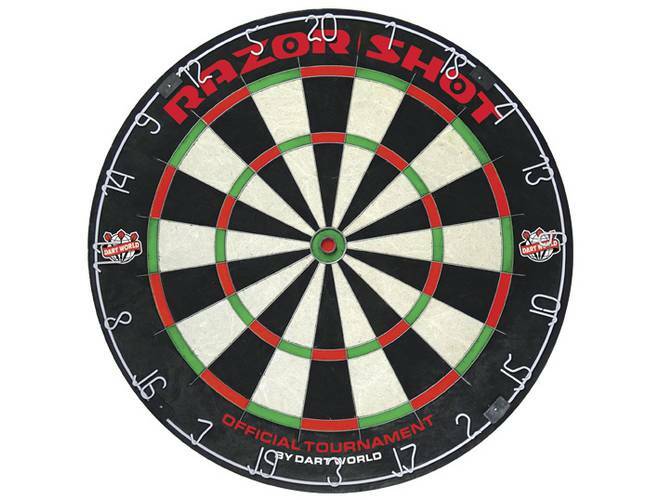 The Razor Shot dartboard by Dart World features Razor Thin wiring and is free of staples. 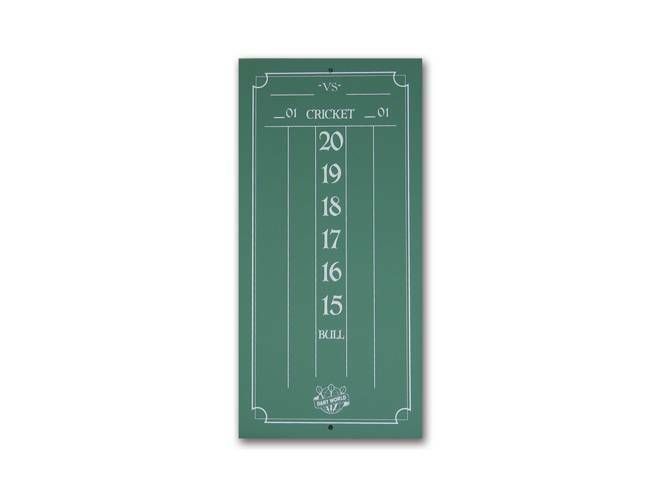 This board will keep bounce outs to a minimum and has a nice clean look with a white outer wire for easy visibility. 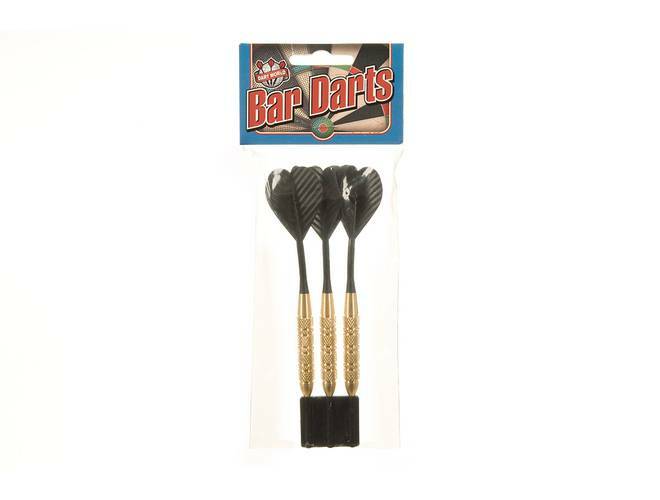 These soft tip bar darts are made with a brass barrel & molded durable plastic flight/shaft combo. They use 1/4 in soft tips. 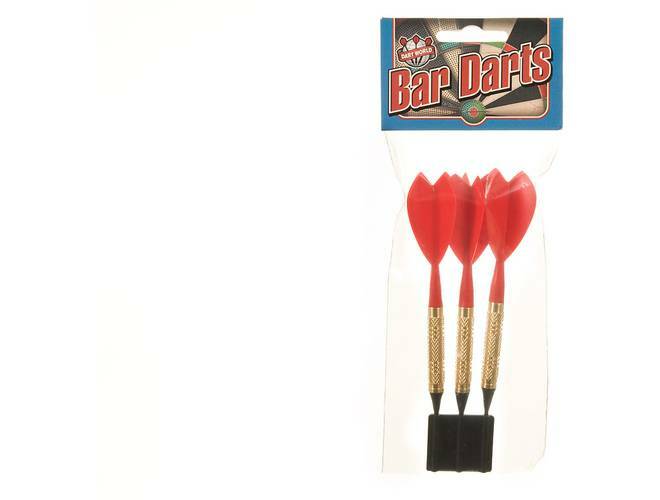 These durable bar darts have a brass barrel with a molded durable plastic shaft/flight combo. 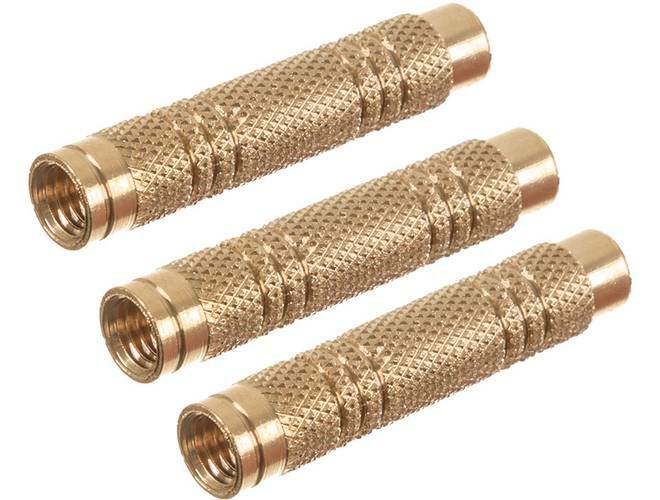 These sets are approximately 23 grams & come in assorted colors.